DC’s live-action universe is an unpredictable place, which has already had a ton of peaks and valleys during its short life in theaters. There have been a ton of movie and casting choices announced, although they don’t always come to fruition. One of the announced projects that seems to be actively moving forward is Birds of Prey, which will introduce new characters to interact with Margot Robbie’s Harley Quinn. Well, this is interesting. Despite being a movie connected to the mob and containing some of DC’s femme fatales, Birds of Prey isn’t going to be a Snyder-esque serious drama. The movie’s full title conveys this, and lets casual moviegoers know that Margot Robbie’s fan favorite character is still going to be front and center. 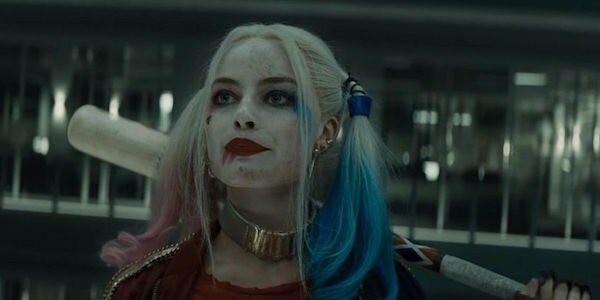 Margot Robbie opened up about Birds Of Prey (And The Fantabulous Emancipation of One Harley Quinn) during a recent appearance on The Tonight Show Starring Jimmy Fallon. Fallon asked her if her Instagram post with the full title was legit, which the Suicide Squad actress confirmed. Both the title and Robbie’s conversation with Jimmy Fallon might come as a surprise, given earlier rumors about the still developing project. For instance, one report that previously circulated about Birds Of Prey was that director Cathy Yan was going for a hard R rating. Many assumed this was because the project was going to be a dark mob drama, with violent characters like Harley and Huntress taking center stage. And while Margot Robbie didn’t speak about the film’s rating, she revealed it’s not a serious movie, and will lean on Harley’s comedic sensibilities. If you want to get a glimpse inside Margot Robbie’s head, I guess we all know the movie we should check out ahead of seeing Birds of Prey. Of course, there are other DC movies like Aquaman, Shazam!, and Joker heading to theaters first. Birds Of Prey (And The Fabulous Emancipation of One Harley Quinn) will arrive in theaters on February 7th, 2020. In the meantime, check out our 2019 release list to plan your trips to the movies in the New Year.